French composer Michel Legrand — the genius behind such unforgettable movie songs as “I Will Wait for You,” “The Windmills of Your Mind,” “What Are You Doing the Rest of Your Life” and others — died Jan. 26 in Paris. 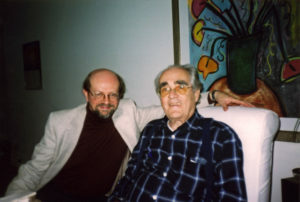 I adored his scores as much as his songs, ranging from classics like The Umbrellas of Cherbourg and Summer of ’42 to less well-known but no less stunning scores for films like Peau d’Ane, Wuthering Heights, The Go-Between and The Three Musketeers. Few composers could boast as many familiar movie themes as Legrand. I was lucky enough to interview him, I think, three times over the years, and to see him in concert (whether with a full orchestra or just a small jazz combo) was never less than a complete joy. My obituary in Variety was followed by a collection of memorable moments from his career visible on YouTube. 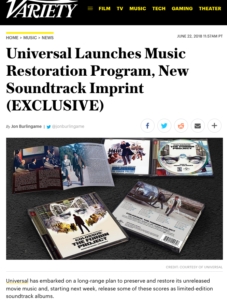 One of Hollywood’s greatest studios has launched a long-range program to find, preserve and release some of its previously unreleased film scores. 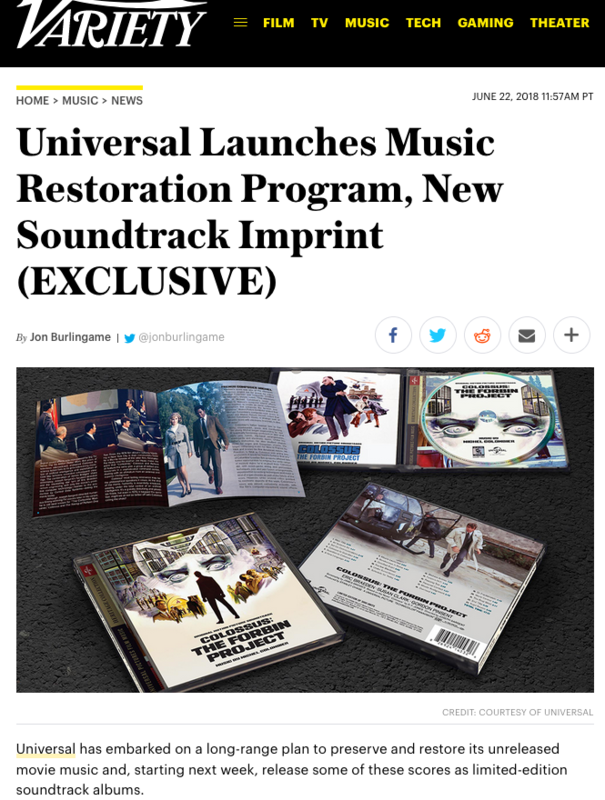 It’s called the “Universal Pictures Film Music Heritage Collection” and launches this week with the first-ever release of the music from Colossus: The Forbin Project. Scores by Henry Mancini, Ennio Morricone, Lalo Schifrin and other top composers will follow. 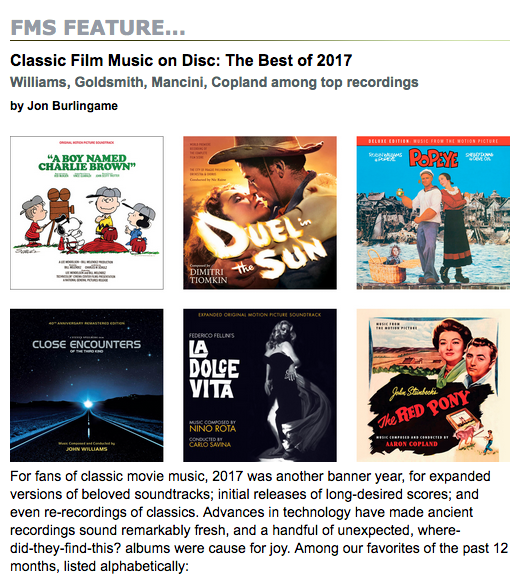 It’s an exciting proposition for us film music fans, and I was pleased to break this story in the pages of Variety. 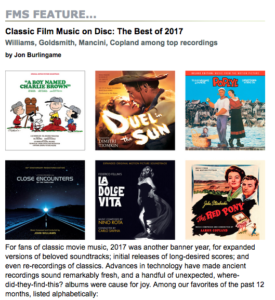 This entry was posted in Composers, Film Music, Television Music and tagged classic film music, Universal film music, Universal Pictures Film Music Heritage Collection, Variety on June 25, 2018 by Jon Burlingame.